Electrical measuring devices are more commonly referred to as meters. Analog meters can either measure one circuit value (current, voltage, and resistance), or they can measure all of these. Meters that measure multiple types of characteristics are called multimeters. An analog meter has a needle that swings one way or another to indicate the value being measured. A resistance meter reads in reverse. What this means is that no needle swing indicates an open circuit, or infinite resistance. Typically, an analog resistance meter must be calibrated to zero ohms resistance every time it is used to obtain optimal accuracy. Older analog meters will usually only have three settings, one for each value they measure. Newer meters will have multiple scales from which to choose, since an analog meter’s measurements are more accurate when the needle is in the middle of the scale. Like analog meters, digital meters can test one value, or they can test a combination of values. Also, some of these only have three settings- current, voltage, and resistance- while more advanced meters have different scales for each of the three types of values. Some meters (usually lower cost handheld units) are accurate to within two or three decimal places, while others, usually expensive desktop or bench-top meters, can measure out to as many as ten decimal places. Some have rotary dials to select type of value and range, while others are pushbutton operated. There are also meters that combine these two features, with the dial selecting the reading type and the buttons selecting the range. More expensive meters also have settings to audibly test for continuity, capacitance, and inductance, and some specialty meters also have the ability to test transistor junctions. There are also meters that have special settings for testing alkaline batteries. 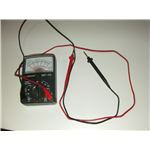 This type of meter is designed for measuring higher currents without putting either you or your meter at risk of shock. Some of these meters only measure current, while others measure voltage and resistance as well. Voltage and resistance are measured the same way as with any other type of meter. The difference is that current is measured by clamping the meter’s clamps over the power cable with the meter switch(es) set to current. Some meters of this type are capable of reading from zero to a few thousand amps, while most clamp-type meters will read as high as 100 amps. 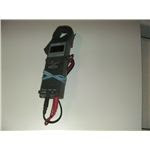 This type of meter only reads voltage, both for alternating and direct current. 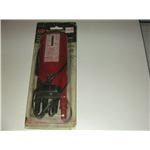 However, the ranges this type of meter is able to read are from 120 to 600 volts. When voltage is detected, a solenoid moves an indicator up or down a graduated scale, which indicates the amount of voltage present in the circuit. It’s used in exactly the same way as an analog or digital meter is used when measuring voltage. This is an indispensable part of an electrician’s toolkit, and we call them wiggies. Network technicians have need of a completely different set of electrical testing tools. The first of these is the toner and probe combination. The toner is a tone generator and it creates a 1 kilohertz signal, which can be injected onto a wire, either by a telephone jack or with alligator clips. The probe will pick up this tone by induction. 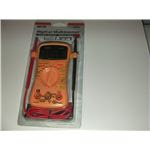 Network technicians usually use this tool set to identify a particular network cable in a cable bundle. 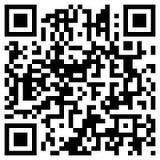 Another type of test tool that a network technician uses is called a modtaps. This is used to test an installed network cable and make sure that it’s properly terminated and is a two-piece test set. The two portions of the tool are plugged into the wire at either end, a button is pressed, and lights on the master unit light up to indicate continuity and proper wiring.